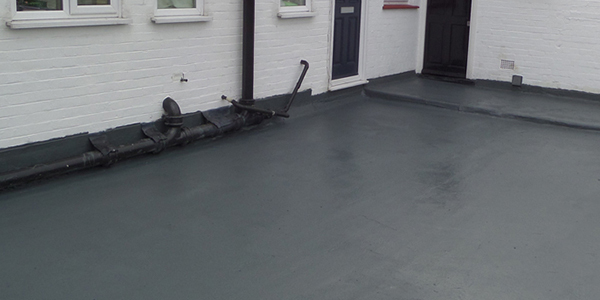 Cold applied, easy to apply seamless waterproof membrane with excellent elasticity, high puncture and movement resistance, fully bonded and eliminates the need for stripping existing waterproofing for most roof surfaces whilst eliminating rust progression to provide a complete monolithic (seamless) encapsulation membrane for horizontal or vertical surfaces. Requiring no primers or fleeces it is brush, trowel, roller and for larger projects spray applied, suitable for use on asbestos, metal, wood, concrete and composite surface on new build or refurbishment. Cold applied, easy to apply seamless waterproof membrane with excellent elasticity, high puncture and movement resistance, fully bonded and eliminates the need for stripping existing waterproofing for most roof surfaces whilst eliminating rust progression to provide a complete monolithic (seamless) encapsulation membrane for horizontal or vertical surfaces. Requiring no primers or fleeces it is brush, trowel, roller and for larger projects spray applied, suitable for use on asbestos, metal, wood, concrete and composite surface on new build or refurbishment. Liquid Rubber Products.